Mandaps take many shapes and forms, so it's always fun to see what sort of design clients might bring to their Indian weddings. 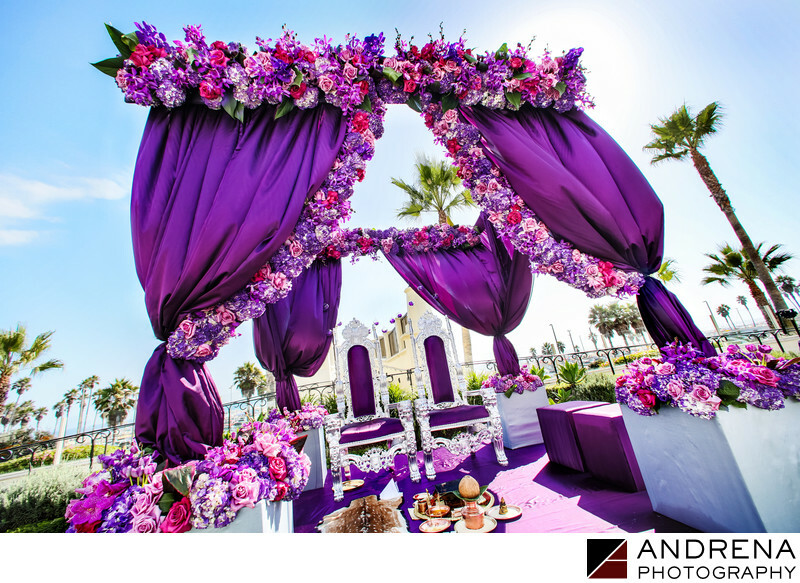 For this Hindu wedding at the Huntington Beach Hyatt, florist Square Root Designs created a purple floral mandap that looked just beautiful. With coordination by Ajita Chopra Events.